The year 2018 has been the most fruitful year in terms of some premium phones. We have seen quite a number of flagship smartphones launched this year. The ultra-premium phones have been upgraded and come with a couple of innovative features, which make them better than their predecessors. The ultra-premium smartphones released in 2018 brings improved impressive design factor and are built with the best cutting-edge technology available in the market today. 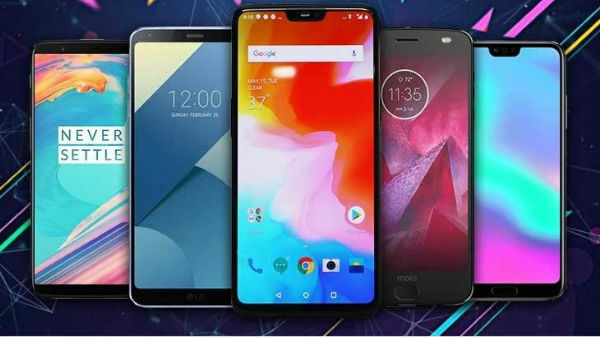 Let's have a look at the best premium phones of the year 2018. Apple's new gen iPhones tops the charts when it comes to the premium segment of smartphones. The iPhone XS and iPhone XS Max were launched back in September this year and pack the most powerful camera setup for video recording. Both the iPhone XS and XS Max are powered by the company's iconic A12 Bionic chipset which allows the devices to deliver a powerful performance. The iPhone XS flaunts a 5.8-inch display panel, whereas, the iPhone XS Max sports a 6.5-inch display panel, both of which are Super Retina HD display. The iPhone XS carries a price tag of Rs 99,990 and is available in space gray and silver gold color variants. The iPhone XS Max comes with a price tag of Rs 1,04,990 and is available in same space gray and silver gold color options. When we are talking about the ultimate flagship smartphones, the Pixel 3 Duo can't be left behind. The premium offerings by the tech giant offer some high-end features along with stock Android UI for smooth user experience. The Pixel 3 Duo is touted to pack the most powerful single-lens rear camera setup and the camera captures some amazing picture quality that can give a hard time to the other dual or more lens setup spotted on different flagship smartphones. The Google Pixel 3 lineup was announced back in October this year in the company's "Made by Google" event which was held in New York. The Google Pixel 3 packs a 5.5-inch P-OLED display panel and is priced at Rs 66,500. It comes in two color options including ‘clearly white' and ‘just black'. The Pixel 3 XL, on the other hand, flaunts a 6.3-inch P-OLED display panel and carries a price tag of Rs 78,500. The Pixel 3 XL is also available in clearly white and just black color options. The third ultimate premium smartphone of 2018 is the Huawei Mate 20 Pro. 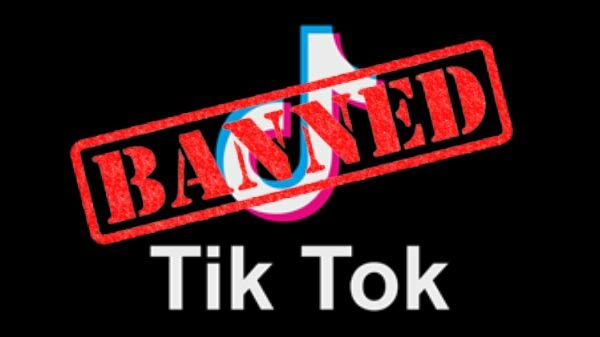 Launched back in October 2018, the device made an entry in the Indian market towards the end of November. The Mate 20 Pro is one of the most powerful smartphones available in the market which is powered by the mighty Kirin 980 chipset. The Kirin 980 chipset is based on the same 7nm architecture as the Apple A12 Bionic chipset. The Mate 20 Pro offer top-of-the-line features and packs a total of three camera sensors at the rear panel. The rear camera setup comprises of a 40-megapixel primary wide angle lens with f/1.8 aperture, a 20-megapixel ultra wide angle sensor with f/2.2 aperture, and a third 8-megapixel 3X telephoto lens with f/2.4 aperture. The smartphone is priced at Rs 69,990 in India and is available in Black, Twilight, Midnight Blue and Green color options. The Samsung Galaxy Note 9 is an absolute charmer. With top of the line features, an enormous display panel and an impressive design the Galaxy Note 9 takes up the fourth spot in the list of top premium phones of 2018. 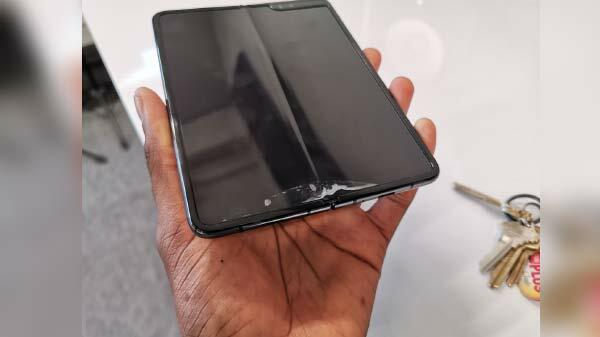 The device was launched back in August this year and has been one of the most popular Samsung smartphones launched in 2018. The Galaxy Note 9 also features the stylus S-Pen which makes carrying on with certain tasks quite easily. The Samsung Galaxy Note 9 uses the flagship Snapdragon 845/Exynos 9810 octa chipset paired with 6GB of RAM for multitasking. The smartphone carries a price tag of Rs 67,900 and is available in Midnight Black, Metallic Copper, and Ocean Blue color options. The Samsung Galaxy S9 and the Galaxy S9 Plus takes up the fifth position in the top flagship smartphones of 2018 list. Packing some advanced set of features, both the smartphones offer a premium user experience and an interesting looking design. One of the key highlights of the premium Galaxy S9 and S9 Plus is the display which they feature. While the Galaxy S9 comes with a 5.8-inch display panel, the Galaxy S9 Plus has a 6.2-inch display panel. The display panel on both the smartphones is a Super AMOLED ‘Infinity Display' which allows for a bright and crisp output. The Samsung Galaxy S9 retails for Rs 57,900, whereas, the Galaxy S9 Plus is selling for Rs 52,900. The latest flagship offering from the Chinese smartphone manufacturer OnePlus lands itself in the sixth position of top premium phones of 2018. The OnePlus 6T was announced towards the end of October 2018 and the release date of the device had been postponed by a day in order to avoid the clash with Apple's event on the same day. OnePlus 6T features a glass back design encased within an Aluminum frame with a teardrop notch at the top of the display. The smartphone uses a high-end Snapdragon 845 chipset which is coupled with 6GB of RAM to take care of the multitasking. The display is 6.41-inch Optic AMOLED panel with a screen resolution of 1080 x 2340 pixels and a pixel density of 402 ppi. The OnePlus 6T is fuelled by a 3,700mAh non-removable Li-Po battery which gives a decent battery backup. The device is priced at Rs 37,999 in India and comes in Midnight Black and Mirror Black color options. One Plus had also teamed up with car racing brand McLaren to bring a special edition of the OnePlus 6T. 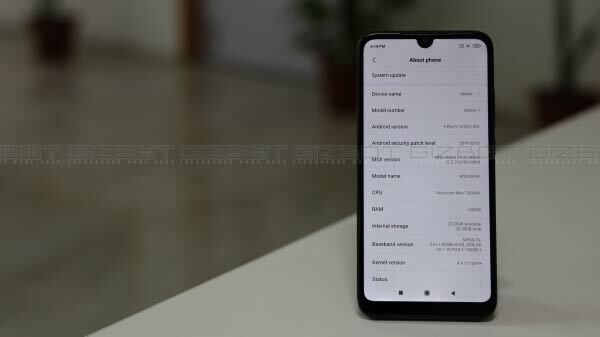 The company had recently introduced the OnePlus 6T McLaren Edition which is the first smartphone to pack 10GB of RAM. The device carries a price tag of Rs 50,999. The Taiwanese tech giant had launched its gaming smartphone for the masses back in June this year. The premium gaming smartphone, i.e, the Asus ROG Phone made an entry in the Indian market back in November this year and is among the few game-oriented smartphones available in the market. The smartphone sports a 6-inch Full HD+ AMOLED HDR 9-Hz, 1ms response time AMOLED display with DCIP3 gamut to offer an immersive gaming experience on the device. The ROG Phone is backed by Snapdragon 845 SoC which is clocked up to 2.96GHz and clubbed with 8GB RAM for multitasking. The smartphone carries a price tag of Rs 69,990. The V40 ThinQ is one of the most promising value flagship offering by the South Korean tech giant LG. The LG V40 ThinQ was also announced back in October this year and it takes up the 8th spot in the list of top premium phones of 2018. The LG V40 ThinQ is powered by the flagship Snapdragon 845 chipset clubbed with Adreno 630 GPU to render all the graphics-intensive tasks at hand. The chipset on board is paired with 6GB RAM for multitasking and 64GB of onboard storage. The internal storage on the device is expandable up to 512GB using an external microSD card. The LG V40 ThinQ is expected to carry a price tag of Rs 72,490 in India. The Vivo Nex is the first true flagship offering by the Chinese smartphone manufacturer Vivo. This is the first Android smartphone which integrated the pop-up slider camera to offer a bezel-less design. Besides, the smartphone also makes use of the in-display fingerprint scanner as an additional security feature. It sports a big 6.59-inch Super AMOLED display panel with 1080 x 2160 pixels screen resolution. Backing up the device is a Snapdragon 845 chipset which is clubbed with 8GB of RAM for multitasking. The flagship smartphone carries a price tag of Rs 44,990 and is available in black and red color variants. The final smartphone that makes it to the list of top flagship smartphones 2018 is from the Chinese smartphone manufacturer Oppo. The Oppo Find X also features a pop-up camera design similar to the Vivo Nex. It offers a bezel-less design up front with almost no bezels at the sides and a thin chin and has a screen-to-body ratio of 93.8 percent. The device features a glass back design which is encased within an aluminum frame. It uses a dual-lens camera setup at the rear comprising of a 16MP primary sensor with f/2.0 aperture and a 20MP secondary sensor with f/.0 aperture. Under the hood, there is a Snapdragon 845 chipset paired with 8GB of RAM powering the device. It is available in two color options including Bordeaux Red and Glacier Blue and carries a price tag of Rs 58,000.